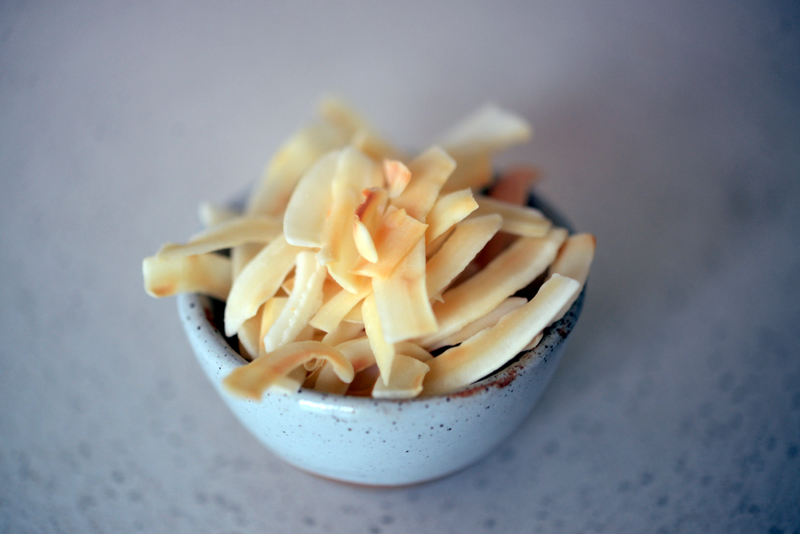 Yogurt cheese is something you need to try. You’re at work. It&apos;s 4 p.m., you still have quite a bit left to accomplish before the end of the day, and the weight of your unfulfilled tasks and burgeoning inbox is starting to creep up on you. You head to the pantry and get after semi-stale shelf-stables that weren’t that delish to begin with. You eat too much, too fast. And now you’re bummed. Sound familiar? Same. What the $&%^ should I snack on at work? is a question I get daily. 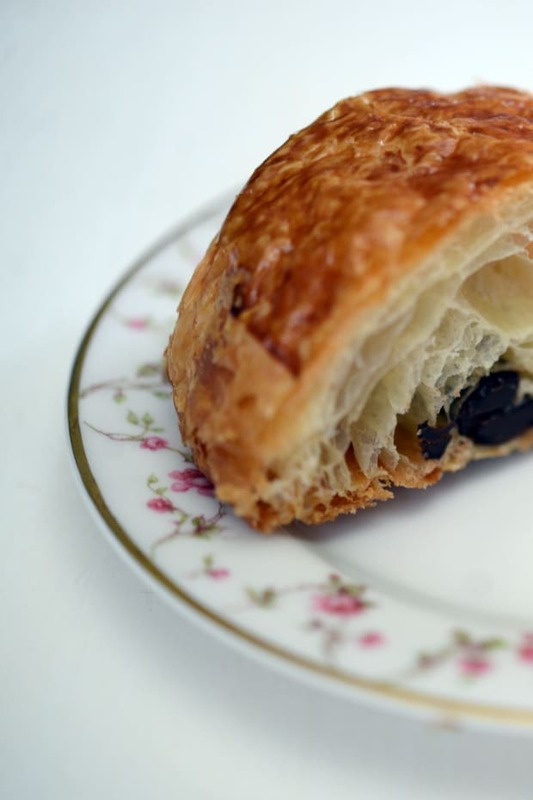 The challenge is that when you’re in the mood for a snack at work, you’re typically beholden to what’s in your office, and those options aren’t usually great. 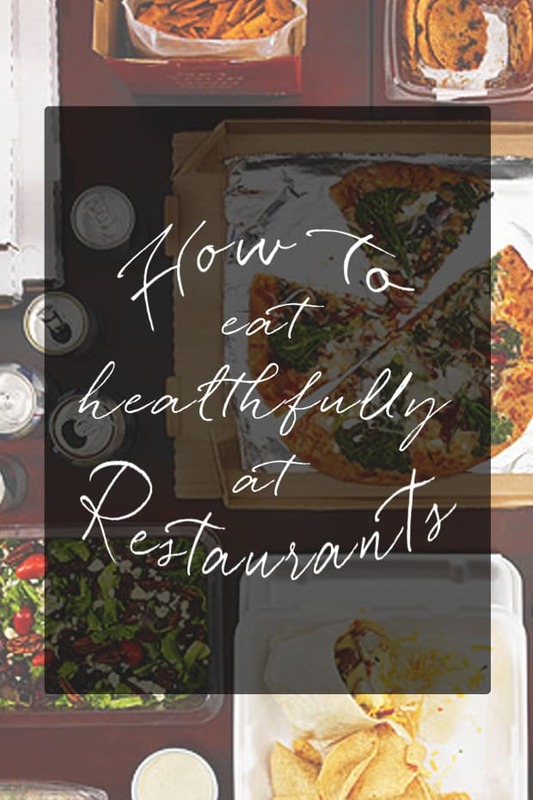 This was definitely the case for Emily previously, who shared in her food diary that she resorted to fruit snacks and Pocky because they were the only things on hand in the Cupcakes and Cashmere office. 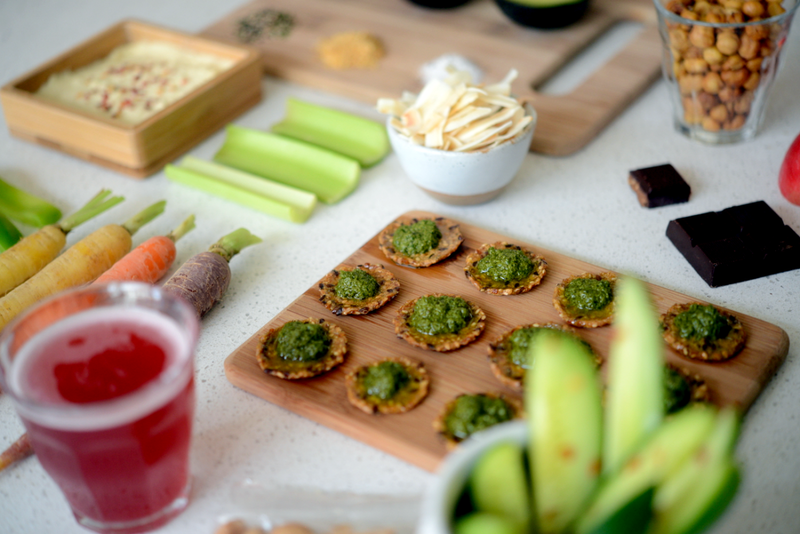 We knew it was time to introduce some healthy and satisfying snacks options as solutions for the midday office slump that weren&apos;t just &apos;a granola bar&apos; (snooze). I like these snacks because they are all relatively low in sugar, contain healthy fat and protein (which keep you full), and are minimally processed, if processed at all. Enjoy! Crunchy and bright. Creamy and smooth. 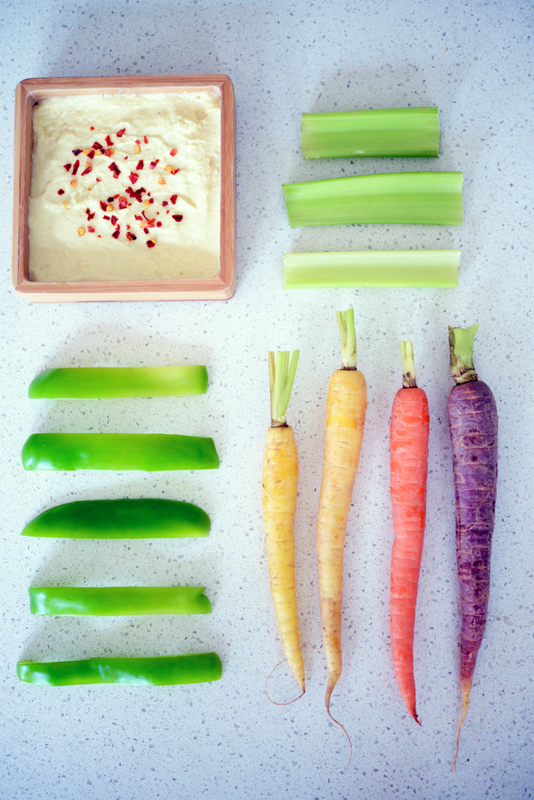 Crudités and hummus were basically made for each other. Plus, they&apos;re loaded with fiber, which helps keep us full. 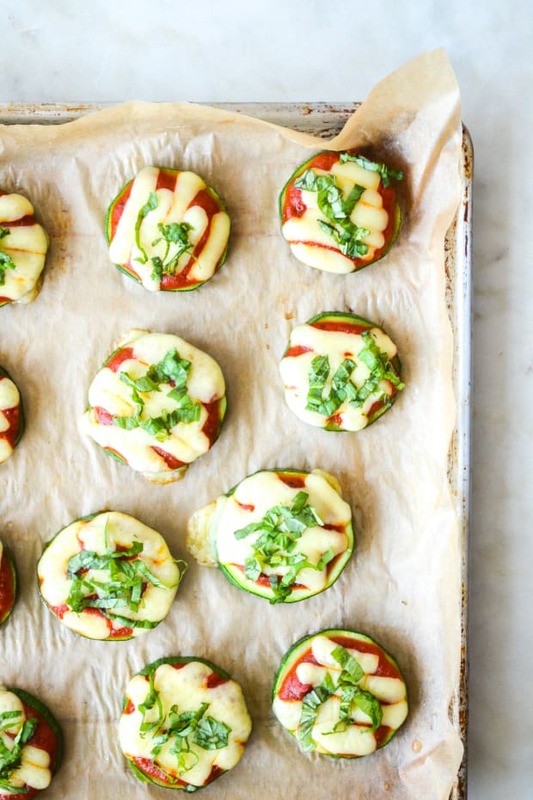 Sprinkle some red pepper flakes on top for a zesty little kick. 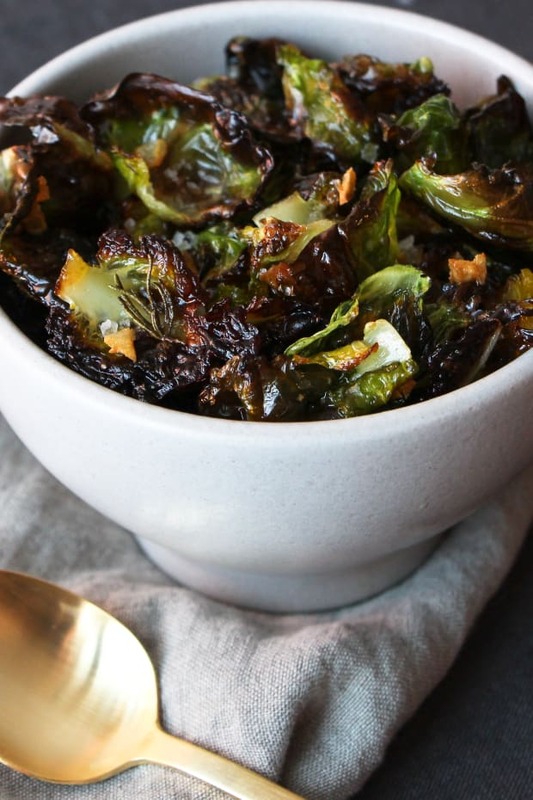 This combo has the perfect balance of salty, sweet and savory. The sugar from the fruit delivers an energy boost, while the fat and protein from the yogurt cheese (available at Trader Joe&apos;s) keep blood sugar levels in check. 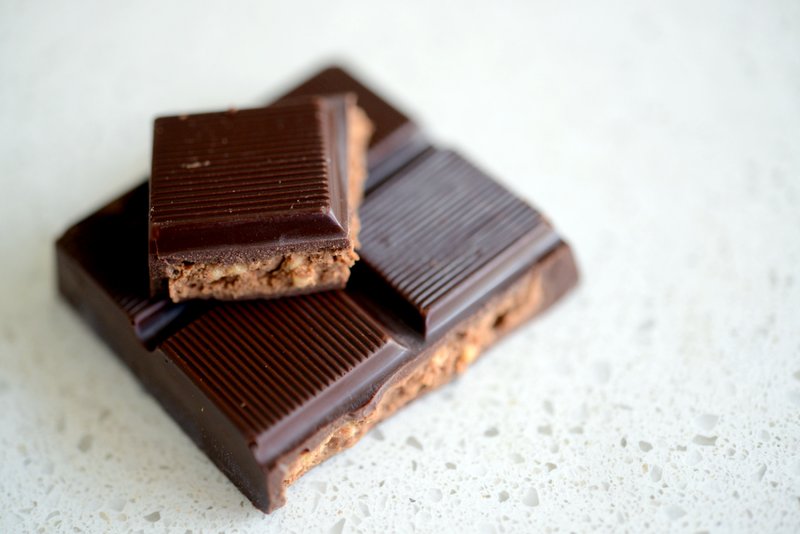 Let’s face it - sometimes chocolate is the only thing that’s going to cut it. And for those times, I’m all about grabbing the highest quality option available. My all-time favorite is this one from Hu Kitchen, because it’s relatively low in added sugar and completely refined-sugar-free. 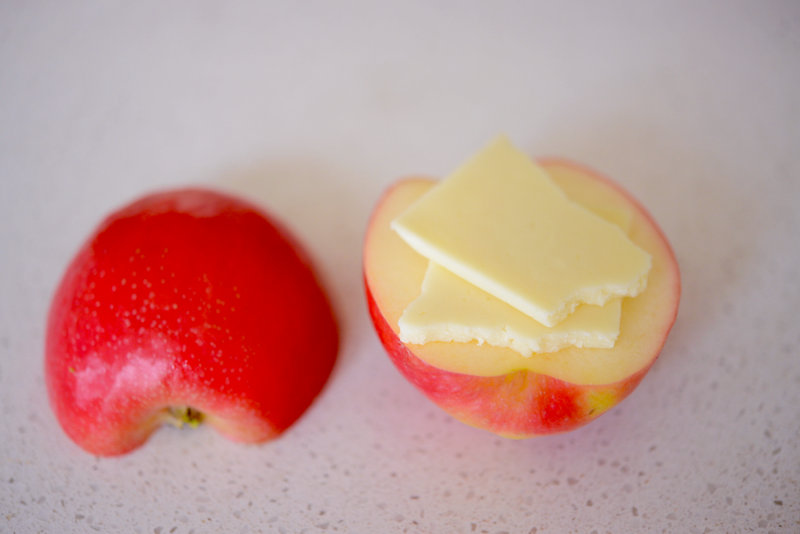 I love this pairing because it’s delicious and satisfying, and easy to take on the go. 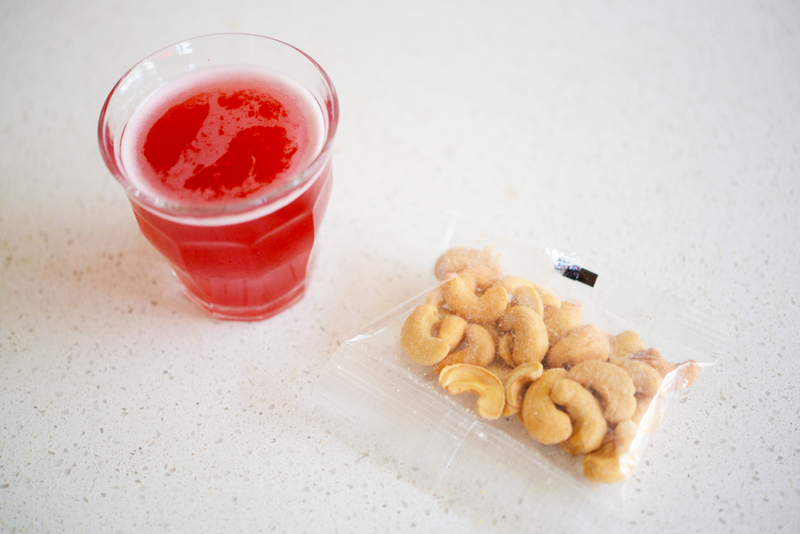 The kombucha offers a sweet and sour punch with some good bacteria to boot, and the nuts help keep us going until our next meal. My favorite pre-portioned nuts, pictured here, are available at Trader Joe&apos;s. It&apos;s easy to get carried away with nuts when you don&apos;t know the actual portion size you&apos;re consuming. 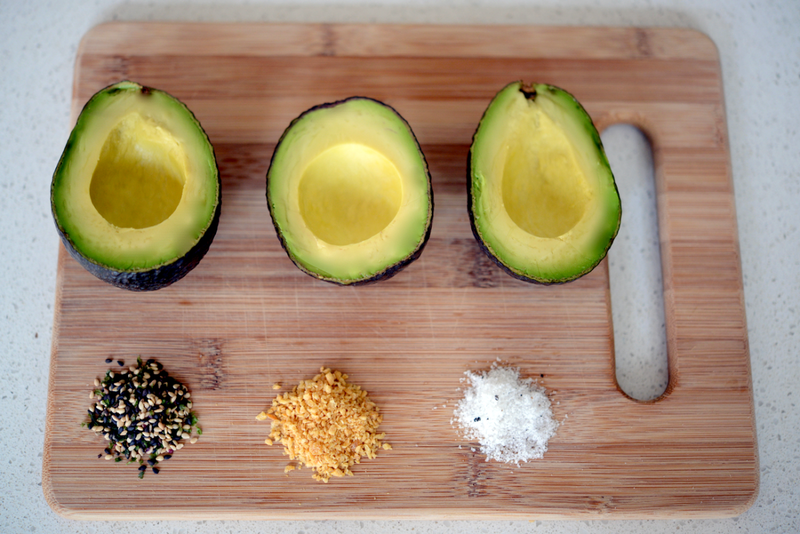 The garlic salt and furikake are simple and so flavorful, plus the healthy fat in the avocado keeps blood sugar levels steady, and sugar cravings at bay. 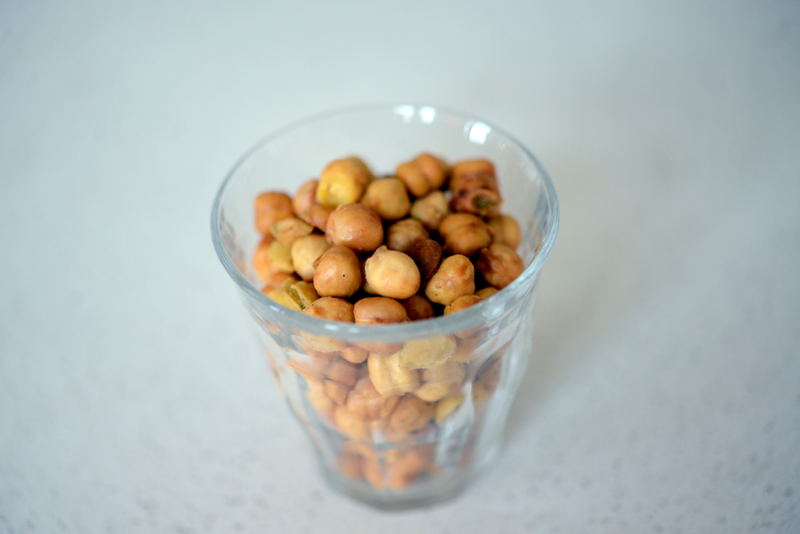 Roasted chickpeas are an amazing chip alternative loaded with fiber and protein. I recommend having 1/2 cup for an afternoon snack, to help keep dinner portions in check. 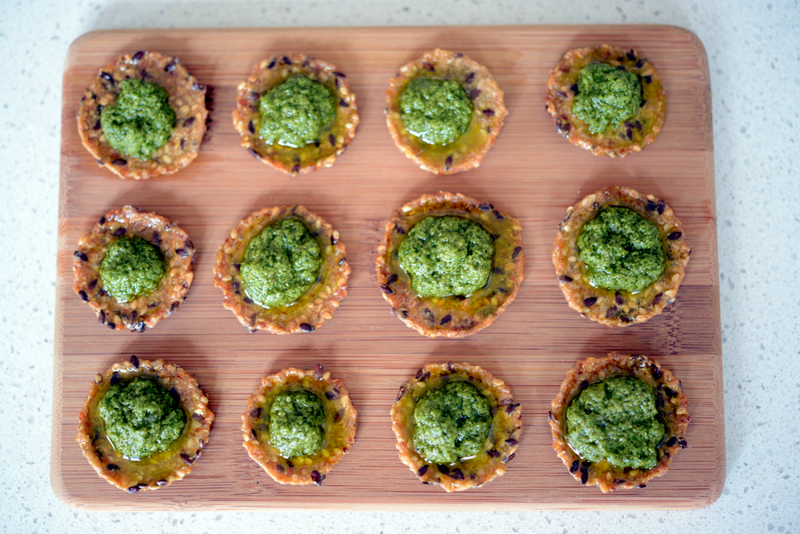 Light and perfect for summer snacking. 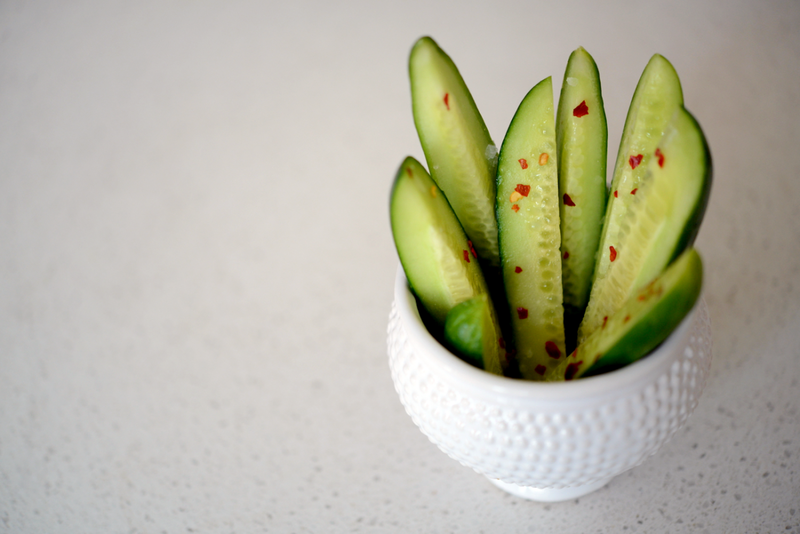 The olive oil offers healthy fat, while the Maldon salt and red pepper gives it an unexpected kick. Coconut has become somewhat of a nutritional all-star in popular culture, and for good reason: It’s loaded with medium chain triglycerides (MCTs). Because MCTs are short in length, these chips are metabolized more rapidly, making fuel more readily accessible for the body. Shira will be back in July, so if there&apos;s anything you want her to cover, leave your requests in the comments below—and keep up with her in the meantime by following her on her social media handles below!